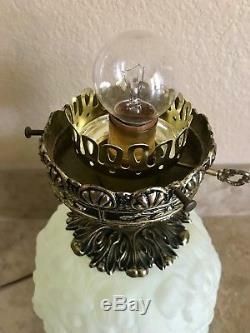 HTF Vintage Fenton GWTW Vaseline Glass Hurricane Lamp. Custard Color with Gorgeous Raised Poppy Pattern and ruffled rim on shade. 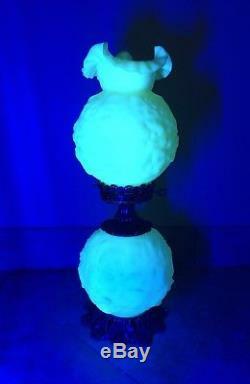 Black Light reactive (as pictured). This is one extraordinary find. 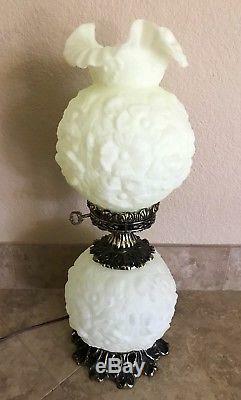 The standard custard poppy lamps in this style are very common but not many of them are Vaseline Glass. 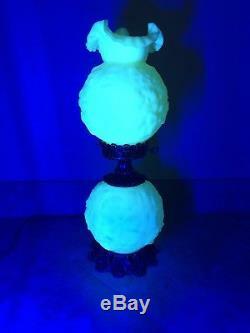 This is a limited edition lamp. 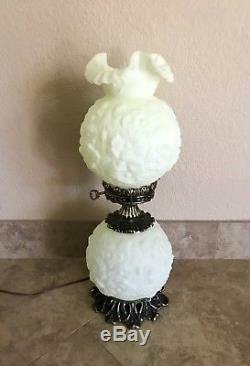 Very rare and highly collectible, this lamp would be a stunning addition to any collection. Sure to wow audiences with its remarkable glow. It will include: 1 lamp (base and shade) - 24 assembled 1 lamp chimney - excellent (no chips, cracks, or scratches) 2 bulbs (top & bottom) 3 screws that hold shade firmly in place. 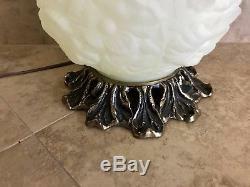 This lamp is in EXCELLENT condition and is without flaw. There are no chips, cracks, or scratches to Glass. 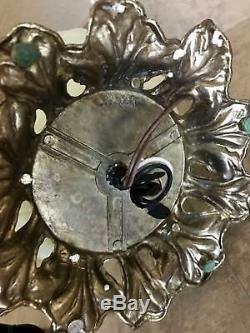 The cord is in great shape with no fraying or exposed wires. 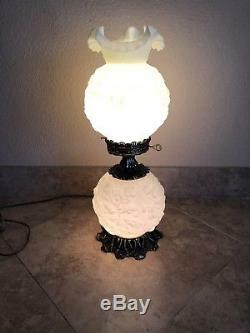 Overall, this lamp is pristine and everything works as it should. I have posted multiple pictures to show its remarkable condition, so be sure to scroll through all photos. 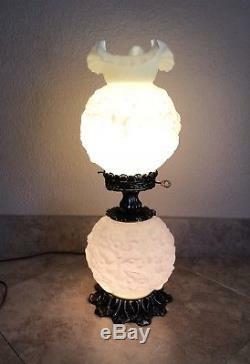 This lamp is truly an impressive example of the quality and craftsmanship that Fenton is known for. 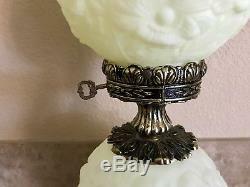 The item "Scarce VTG Fenton VASELINE Custard GWTW Hurricane Lamp 24in. EUC" is in sale since Friday, May 11, 2018. This item is in the category "Pottery & Glass\Glass\Art Glass\North American\Fenton". 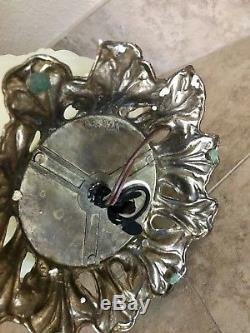 The seller is "breedoms" and is located in Phoenix, Arizona. This item can be shipped to United States.